The new government of Taiwan has until now failed to recognise the existence of ‘One China’, infuriating the People’s Republic of China. Although Ms Tsai Ing-Wen, Taiwan’s new president, reaffirmed her intention to keep the status quo, mainland China fears she will push for independence. Tensions between the two actors arose already last month [May 2016] over various episodes of deportation of Taiwanese citizens to China. China, which regards Taiwan as wayward province, is deeply suspicious of Taiwan President Tsai Ing-wen, who took office last month, suspecting she will push for formal independence. Ms Tsai's pro-independence Democratic Progressive Party said she wanted to maintain the status quo with China and was committed to ensuring peace. But China insists she recognise the so-called "1992 consensus" reached between China's Communists and Taiwan's then-ruling Nationalists, under which both agreed there is only one China, with each having their own interpretation of what that means. In a brief statement carried by the official Xinhua news agency, China's Taiwan Affairs Office said that since May 20, when Ms Tsai took office, Taiwan had not affirmed this consensus. 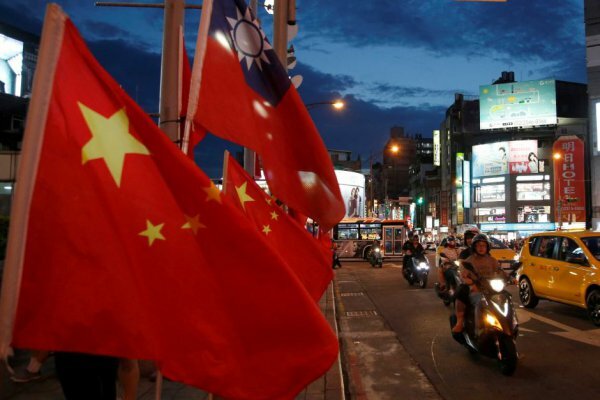 The announcement came as Taiwan expressed anger at Cambodia's deportation of 25 Taiwanese nationals wanted on fraud charges to China, ignoring attempts by Taiwanese officials to have them returned to the island. Taipei accused Beijing of kidnapping when other countries such as Kenya and Malaysia deported Taiwanese to China, also in fraud cases. Taiwan's Mainland Affairs Council said it had expressed its concerns to the Taiwan Affairs Office about the Cambodia case using the communication system. In a statement, the council said both sides of the Taiwan Strait had a responsibility to maintain peace and stability. "The government will continue to keep open the door to communication and dialogue," it said. The regular communication mechanism had been ushered in following a rapid improvement of ties under in 2008, under the rule of Taiwan's then-president Ma Ying-jeou.